So my sister and I love to throw small parties. 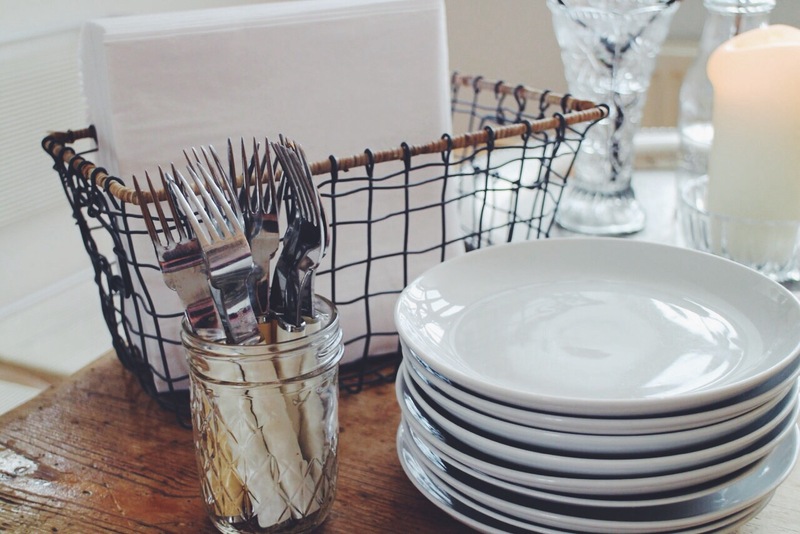 We gather our friends and family, and have some fun together and eat some delicious food. So we decide that we could really eat some cake, so we thought why not have a cake party for some friends and enjoy their awesome company. 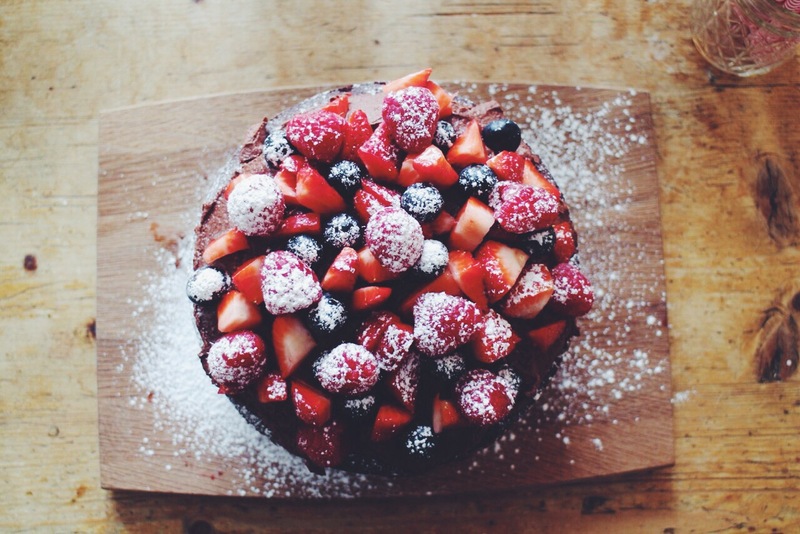 We love to bake cakes and challenge ourself, so we decided we wanted to bake three different cakes. 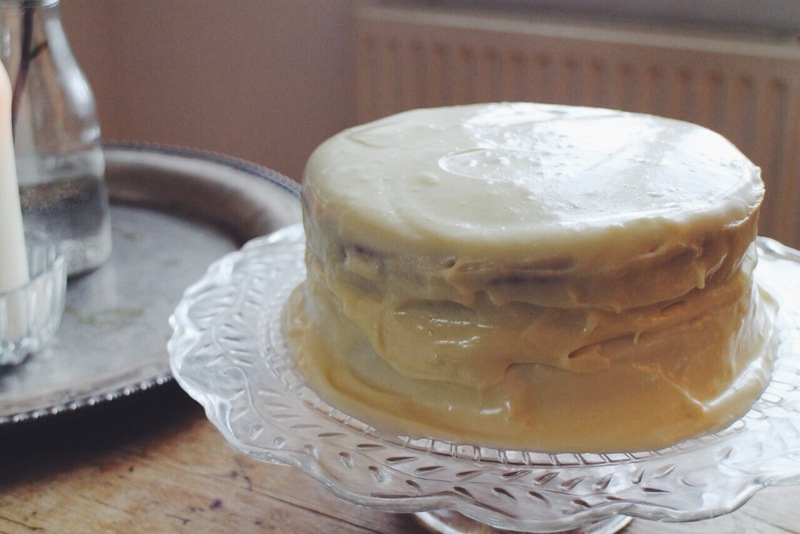 I baked a carrot layer cake with cream cheese frosting (recipe from here). The cakes were fantastic, I baked them in a 7″ pan instead of a 8″ so I baked them for about 20-30 min. I had a bit of a problem with the frosting. It didn’t get as stiff, as shown on the photos of the recipe, but it tasted fantastic! 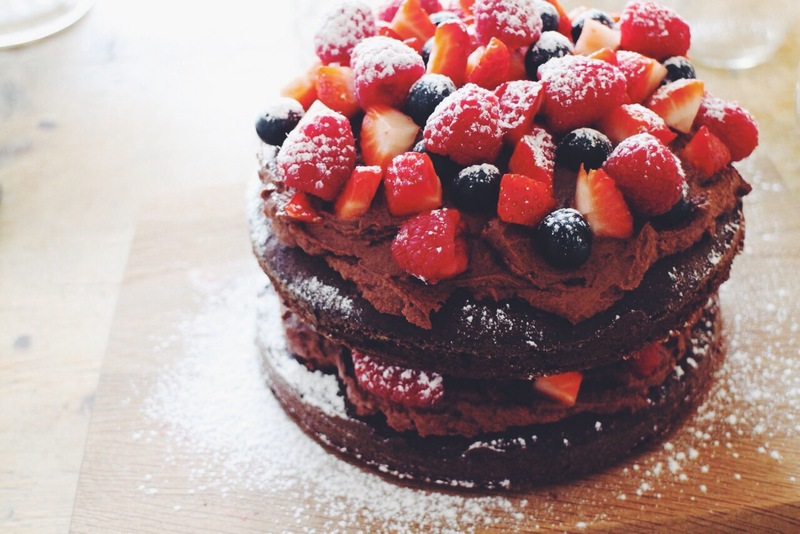 Emilie found this great chocolate ‘naked’ layer cake with mascarpone chocolate cream and fresh berries by Linda Lomelino. You can find the recipe here. It was amazing and the mascarpone cream tasted like chocolate mouse so with the fresh berries to go with it, it was fantastic. For the third cake we decided on a chocolate cupcake with coconut creme cheese frosting with tender flake coconut on top, so they look like snowball cupcake. They ended up really pretty. 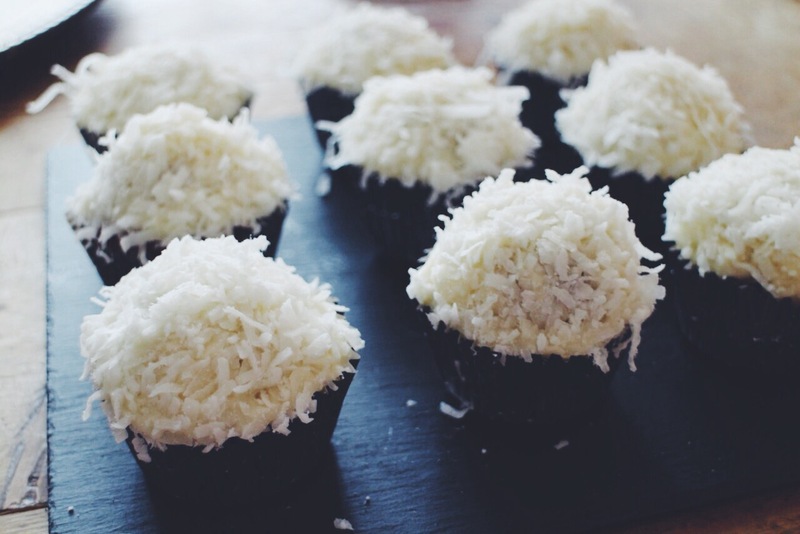 For the coconut frosting we add just 1/2 tsp of coconut essence. We could have add a little bit more. For drinks I made a fresh homemade soda in our mason jars. 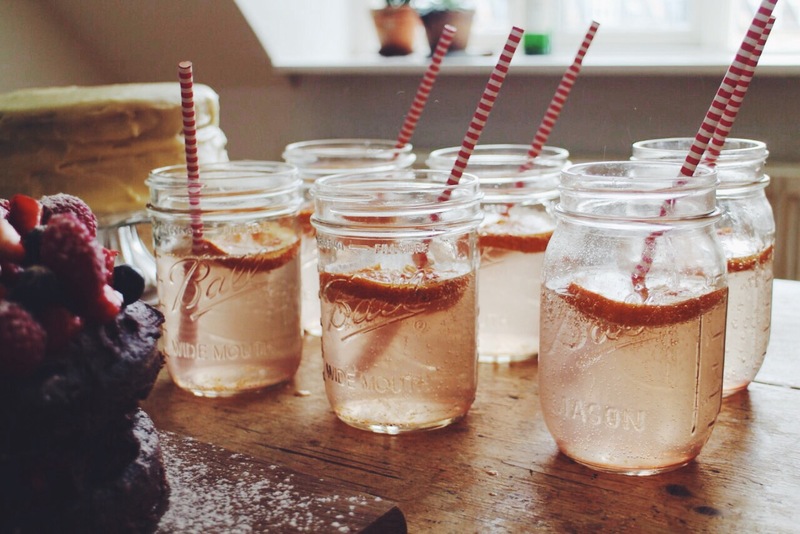 I didn’t want the drinks to sweet, to balance out the sweetness of the cakes, so I made a blood orange syrup mixed with sparkled water. The recipe click here. 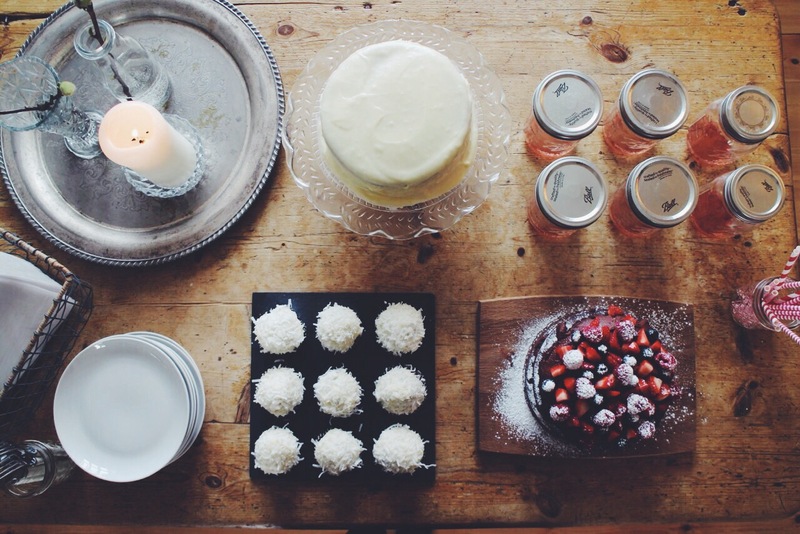 We wanted a bit of a rustic theme so for the cake table so Emilie came up with the idea of placing her chocolate cake on a wooded chopping board which looked really cool. For the cupcakes we decided to place them on a cool small charcoal slab, which worked great with the colors of the cupcakes, and with my carrot cake we placed it on a pretty cake dish to give some different layers on the table. So here is a photo series of the table. 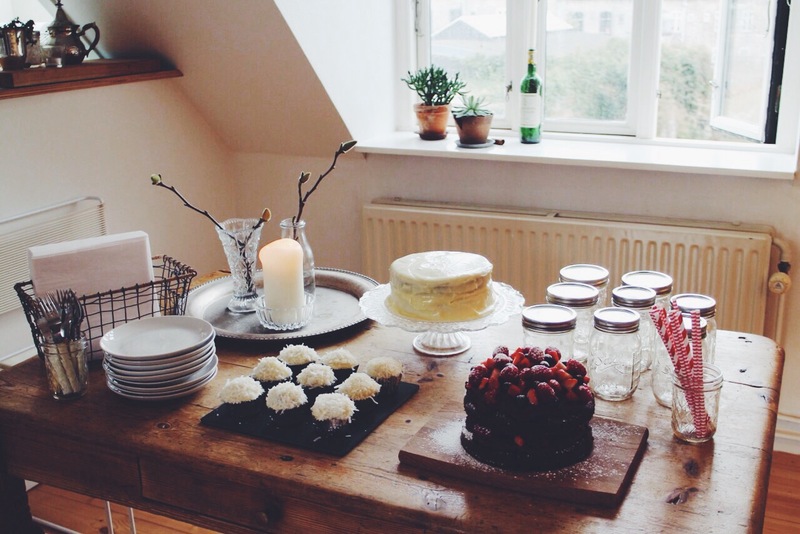 Posted on 30. marts 2015 5. april 2015 by juliemnielsen	This entry was posted in Food, Life, Living and tagged Cake, carrotcake, chocolatecake, cupcakes, friends, fun, party. Bookmark the permalink.